Yep, I'm a blogger and I'm a reporter. And sometimes I'm an advocate. When I'm all objective and such, you'll find my byline in The New York Times and the Dallas Morning News, et cetera, et cetera. But when a blog is actually in The New York Times, that line between reporter and opinionator gets blurry pretty darn fast. And to the question, "Is a blog post in the Times subject to the same editorial review as print version?" the answer appears to be not so much. But if you ask me, it oughta' be. My problem is with the series of posts written by Nick Bilton, lead technology reporter/writer for The New York Times Bits blog. These tweet-sized bits of so-called reporting are delivered to the reader with all the impact of the Gray Lady herself. Even though nothing he's written on the subject of the use of personal electronic devices on airplanes rises to what the discerning reader would consider a basic journalistic standard. By way of background, and in truth, full disclosure, I'm a little prickly on the subject. 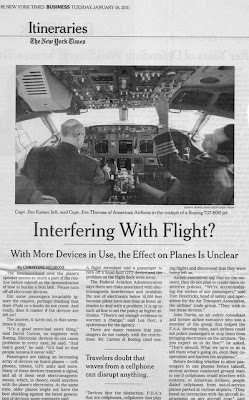 In January 2011, after more than two months research and 30 interviews I reported for The New York Times that pilots, aeronautical and electrical engineers and air safety investigators were concerned about the increased use of hand held gadgets on airplanes and the potential for electromagnetic interference with flight deck instruments. We air travelers aren't the only ones who have gone digital. The formerly mechanical airplane has too and this has created a potential conflict. The navigation, communication and operational systems can be affected by extraneous signals from all the gizmos we bring on board. The authorities looking into the issue found 10 reports filed by commercial airline pilots who suspected electronic devices had interfered with flights under their command. Following the publication of that story, a confidential source provided me with a study from the International Air Transport Association showing that the problem was global in scope. I wrote a follow up here in my blog, and provided the study to ABC News which produced its own investigative report this summer. "no crashes were attributed to people using technology on a plane." Well, first of all, that's wrong, which he would have known if he'd even read the previous Times story on the subject. Electromagnetic interference could not be ruled out as a factor in the 2003 crash of an commuter crash in New Zealand. And it was a mid-air collision over New York City in 1960 that first got the Radio Technical Commission for Aeronautics looking into the issue. Even so, anyone with more than a "I've heard the safety briefing" background in aviation, knows an absence of accidents is not evidence of safety, any more than arriving home alive after driving intoxicated is evidence that there's no risk in driving drunk. By the time Bilton opines next on the subject, he's gobsmacked that the transition to electronic flight bags means pilots will soon be using iPads in the cockpit. More proof, he concludes that EMI presents no flight threat. "pilots with iPads will be enclosed in the cockpit just a few inches from critical aviation equipment." 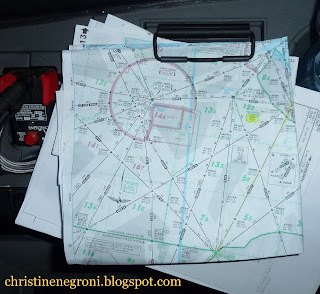 There are a number of significant differences between the use of a well-tested and controlled device in the cockpit by the people actually flying the airplane and the use in the back of hundreds of electronic devices in Lord-knows-what state. Just ask yourself, how long would it take a pilot to switch off a questionable piece of electronic machinery in the cockpit versus how long would it take a flight attendant to track down a surreptitiously-used device if the pilots even had the time and presence of mind to investigate that possibility during an anomalous event? So, you can see why I'm frustrated when a guy writing under the masthead of prestigious newspaper says there is no "evidence to support the idea that someone reading an e-book or playing a video game during takeoff or landing is jeopardizing safety." Well there is evidence, Bilton just zooms right by it. In the global study, seventy-five pilots reported episodes that concerned them, and folks familiar with the data suggested the 75 is probably about one quarter of the actual number of events, since about one quarter of the world's airlines contribute reports to the database. For those who prefer their pilots not to be wetting their pants over suspected EMI flight control issues I'll point out that it is a basic tenet of aviation safety that events are more predictive than accidents. These pilots were reporting on the precursors to crashes. But Bilton, having spoken to at last count about half a dozen people over the course of four posts tells Times readers its "time to change the rules." He's wrong. Aviation's remarkable record is the result of eliminating anticipated risks and creating redundant systems for the risks and errors that are unpredictable. The use of portable electronic devices falls squarely in the former. Bilton would know that if he felt the need to take his reporting even slightly off the path between his hunches and his biases. As a blogger he may not need to do that, but as someone who's opinions fall under the banner of The New York Times, he and his editors certainly ought to. Anyone who reads the NYT deserves what he/she gets. The likes of the giants are long gone, and we're blessed with bloviating bloggers who couldn't differentiate between science & scientology if their lives depended on it (and they just might). The whole premise of SMS is to be proactive, detect hazards and mitigate the risks. 75 incidents of EMI interference are 75 events too many in 7 years or otherwise. Do we have to wait for an accident to prove or disprove whether EMI interference is hazardous to flight or not, especially in critical phases of flights; the answer is NO. Until science can prove otherwise I suppose people can live without their electronic gadgets for 30 minutes or so. Thoughtful, well-written counterpoint to an idiotic article with a clear agenda behind it. I'd like to see Matt Wald do a similar rejoinder -- the Times has access to a lot of people far better qualified to write about aviation safety matters than this rookie. I'm an airline pilot and air travel columnist/writer of at least * some * reknown. I sent Nick Bilton two perfectly polite and constructively critical letters regarding two of his posts. Neither of my letters was answered or acknowledged. Thanks for this interesting discussion Christine. I agree with your comments about BLOGs. I BLOG on my website www.rdcollins.com.au and 95% of the time it is my opinion that I'm publishing. I think I make that quite clear. Notwithstanding, I do my very best to base that opinion on fact and 35 years of experience in this industry. I also agree with your comments about personal electronic devices (PEDs). Frankly, the reporter to whom you refer (who I do not know), does not seem to understand the technological considerations and analysis associated with safely using PEDS on board an aircraft. In Australia, there are numerous examples of interference associated or suspected to be associated with using PEDs, and the issue is regarded seriously by airlines, the regulator, and the investigations agency. This is very interesting. I've seen people refuse to turn their phones off on planes when asked - the attitude is "what's the harm? why should I?" 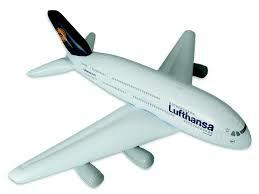 You say the airlines take this issue seriously - but in that case, isn't it time that the airlines took a firmer stand? Insist that electronic devices are carried separately on checking in, just as liquids have to be, and make it clear that they are turned off and must not be turned back on again. Make a few examples of people who refuse, by not letting them fly. Show that it's a serious issue. And get the airlines' PR people to tackle ill-informed writers like the one you refer to. @Christine, it would be helpful to contrast the 75 (or 4 x 75) "suspected" incidents of avionics interference with the number of confirmed safety incidents from other causes--not that we should create hazards through de-regulation of electronic devices in the cabin, but many safety (and crime victim) advocates across society routinely zero in on relatively rare events, ignoring much more common and dangerous ones. Our "lizard brains" can be pretty irrational when it comes to rare accidents with visible and high consequences (airplane crashes, harm to children). For instance, I'd rather have sensible duty time rules, so my pilot is "wetting his or her pants" than asleep in the cockpit. Your point is well taken. Rushing in to mitigate the most recent air safety risk can be somewhat knee-jerk. Regarding the use of PEDs, the regulations are already in effect. Policy on PEDs can be assessed with a simple risk benefit analysis. The regulations require that these devices be kept off during takeoff and landing. Is that cost worth the mitigation of the risk, which is not easily quantified? 'Spot on' Christine, fully agree with your stance on this. Ive been an EMI Trials Officer and was constantly amazed at that ways 'wiggly amps' find new ways to totally mess up perfectly good systems. I'd also observe that Bilton's simplistic approach overlooks the fact that modern day accidents are much more complex than just a single device interfering directly with a critical system. EMI can influence complex systems indirectly in many ways. However, so long as the appropriate tests/precautions/certifications have Ben done, and controls are in place the risk of portable devices in the cockpit will be manageable and acceptable. There are no problems with iPads etc that have been checked out (witness Executive Jets' recent work with the FAA) where the risks are known and controlled. The challenge and risks come from the long tube of uncontrolled and unpredictable electronic paraphernalia aft of the cockpit. Pseudo reporting of the type done by Bilton is very unhelpful, and some would say ultimately detrimental to air safety. The message he delivers fuels the attitudes and miconceptions of the traveling "EMI expert" who sees no validity in the measures that are designed to protect the traveling public and who are not shy at declaring their opinions loudly and often. These folk are the bane of cabin crew, they are misinformed and they are wrong. Bilton's shallow and flawed analysis of this important complex subject is a disservice everyone. I think this reporter falls into the catagory "educated stupid". May have a lot of brains but fails to engage the brain before opening the mouth. Does his preferred choice of communicating with the world of "blogs" have FAR or CS standards? Does he even know what the abbreviations mean? I have heard of a documented case in the 1960's / 70's when an airman was working upside down in an aircraft and put his torch on a ledge, as he did so there was a loud bang near his feet, the bang was the canopy of the aircraft being blown off as he had put his torch (flashlight) near the initiator for the explosive release. Until all the electronic devices are checked for flight safety my personal view is that they all should be banned. If you have a mobile phone that is powerful enough to transmit a couple of miles to the nearest tower what exactly is your EMF output??? Recently I was listening to a tech podcast and Bilton was lamenting the fact that he gets to cover all kinds of tech start up companies but because he is with the NYT he is not allowed to be given a piece or purchase a piece of the action. He obviously was not happy about it. I wished someone would have asked him... if he were not with the NYT would he be given the same opportunity? Doh.